Whether you're renewing your one of quilting or making a quilt for the first time, Roxanne is here to guide you to success. Choose from several beginner patterns and we will help you with the fabric selection. You'll go step by step through the secrets for speedy and accurate piecing and pressing correctly. Learn tricks for assembling rows, adding borders and keeping your quilt square. Roxanne's enthusiasm and expertise make this class "sew" much fun! The focus of this class is giving you all the tools you need to start free-motion quilting. From basic meander to several other super "Do-able" stitches, Connie quilts them and shows you how. This is a hands-on class with lots of practice, ideas and resources. Your sewing machine must be in good working order and capable of free motion quilting. CONTACT US FOR HELP WITH CHECKING AND SETTING UP YOUR MACHINE BEFORE YOU TAKE THE CLASS. It's one of our most popular classes. It's a blast from the past! Remember collage making from the '70's? Well, this is a creative modern twist on an old craft. 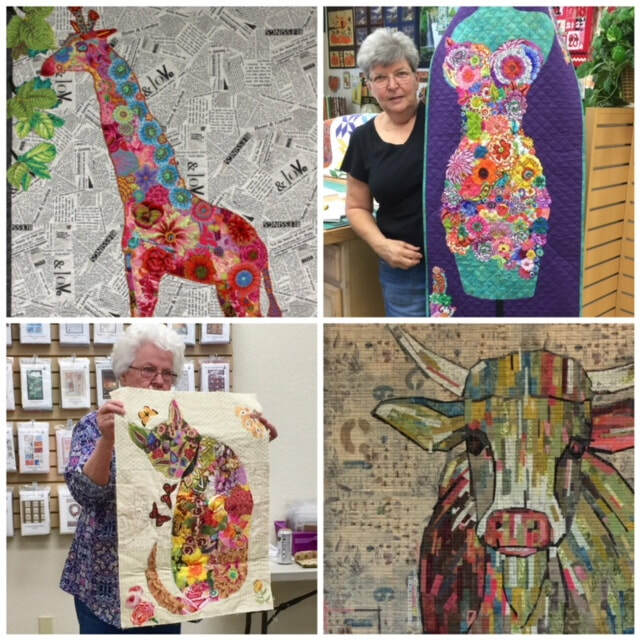 Karen will teach you how to incorporate florals and other colorful fabrics into artistic collages of animals and cultural icons. Choose from an elephant, owl, old truck, camper, deer, mermaid, rooster or giraffe, just to name a few. This stunning quilt is another popular traditional quilt pattern that has been simplified with the use of Quiltsmart pre printed fusible interfacing. Learn how to choose just the right fabrics along with easy techniques for creating one of your own! This traditional quilt was turned on it's head 20 years ago by Mattie Rhodes' Quiltsmart, when she created the original easy fusible interfacing. Choose from a classic layout or 4 new layouts plus a bonus table runner. Learn how to use strips, with no curved piecing into this clever appliqué method. Let us show you how to make this classic quilt with NO curved piecing with Quiltsmart's clever appliqué method. You'll love this big shapes that are easy to sew and have beautiful turned edges! This quilt is yardage and FQ friendly. Once and for all , learn how to do make a continuous binding with perfect mitered corners every time. This class will give you the confidence to enjoy binding instead of dreading that last important finishing step. Karen will share her secrets for machine and hand applications. You will need a small finished quilt ready to bind. A crib or lap size is recommended, but you can even use a potholder. Learn how to make your own fabric pieces using the madweave technique. Madweave is a triaxial weave using covering a plane. These panels can then be used like a cut of fabric and turned into bags, quilts or baskets. This weave is particularly effective in highlighting dark, medium and love volume fabric while creating a three dimensional effect. Did you recently purchase one of our new Janome machines? This is a perfect opportunity to learn all the basics AND the bells and whistles. Bring your machine, accessories, manual and a notepad. This class is complimentary if you purchased your machine from us and $50. if not. 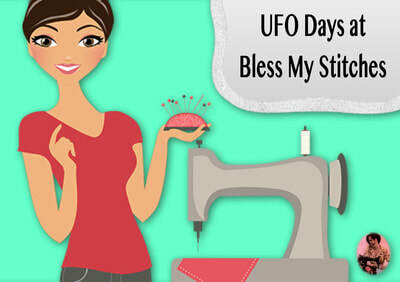 One thing that surprises me on UFO day show much everyone learns form other people's UFOs. You don't just get going on your own project, you also see, hear and experience how problems are solved on other pieces. We have set up the perfect place for you to spread out, have lots of cutting, ironing and creating space. Plus, if you hit a "bump" in your day, we are always her to help! Seats are limited so reserve your space early. You can achieve perfect points by machine stitching directly onto printed foundation paper. Ann will show you easy techniques so that even the most elaborate designs, you thought were too difficult, are now as easy as sewing on a line! We will cover machine basics, how to choose the right needles, threads, fusibles and stabilizers. Practice satin stitch, button hole stitch and more. We will start with easy exercises and then begin a small block that can be used in a project that uses your skills. A machine with a zig zag stitch is required. Love working with your hands? Give embroidery a try! In this comprehensive beginner's class, we will walk you through the basics from choosing fabrics and floss to hooping up and crafting beautiful stitches. Graduates of this class are welcome to our UNPLUGGED Stitch Society. 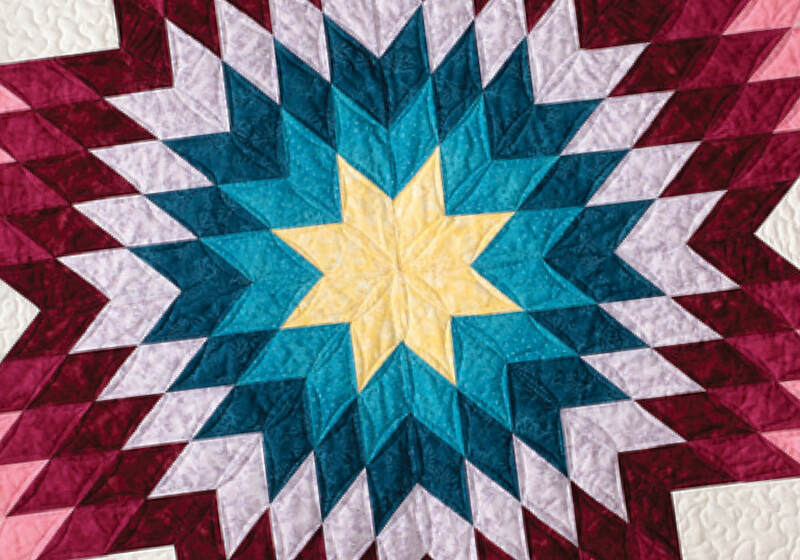 Create precise shapes when you learn the EPP quilting technique, where fabric is wrapped around paper shapes. We will explore the many design possibilities of using hexagons, classic, modern and trendy. Learn how to choose your fabric, fussy cut, baste and hand sewing making a flower hexie to turn into a trivet or expand into a larger project. This class is free with your purchase of our exclusive BMS kits. Choose from any of our kits, past or present, gather your sewing supplies and we're off! ​Start the new year out right and create one of our unique quilts! Learn to create a purse that is all your own. Let us help you choose fabrics and a design that speaks to you, then Margi will share her secrets for a professional look! She’ll also show you how to make personalized inner pockets for your necessities. Choose from our dozens and dozens of patterns. Sometimes it’s good to take a break from doing everything fast. Handwork is a great way to slow down & enjoy the process of creating. Handwork is portable, allowing you to take it with you. Another benefit is that you can actually talk to friends & family while working + it's relaxing. We will get together monthly & work on any and all hand projects. Note- this is not an instructional class - it's a social time to help, encourage and inspire one another. Come join us and get UNPLUGGED!